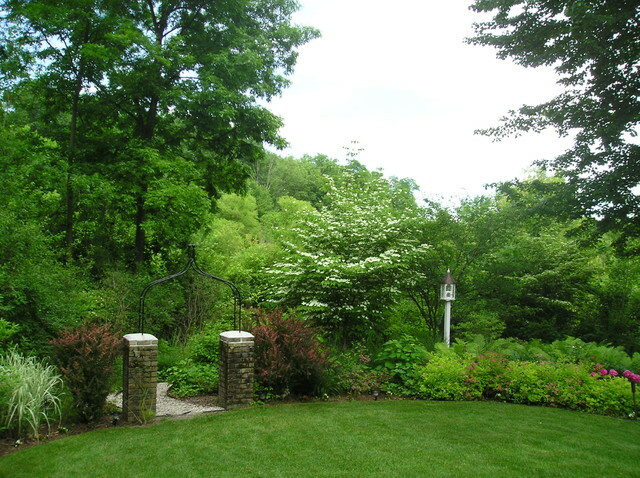 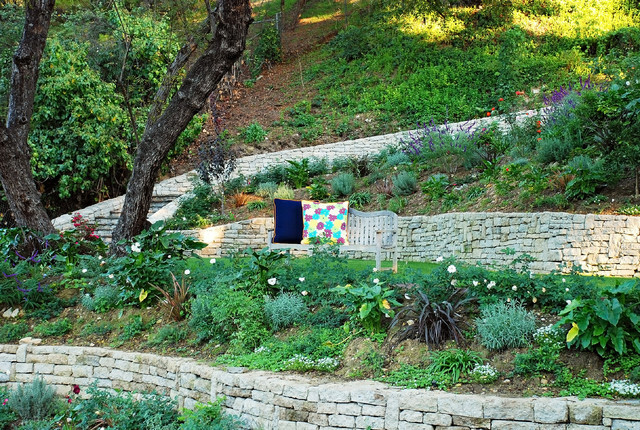 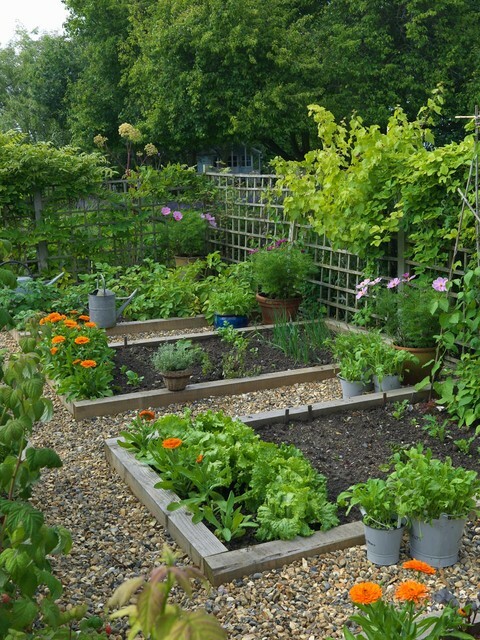 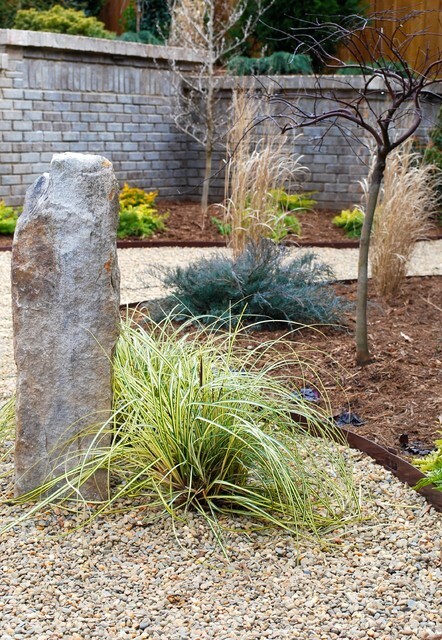 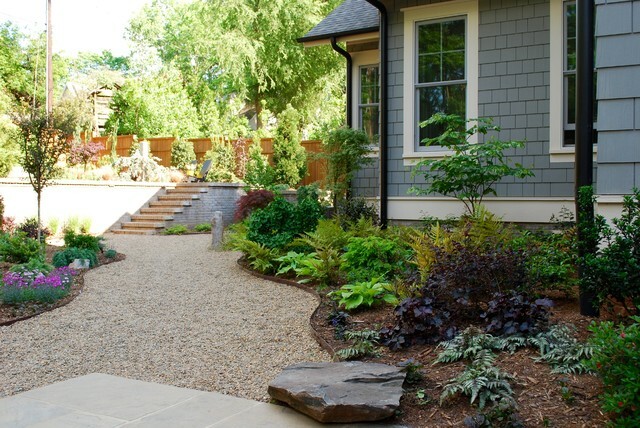 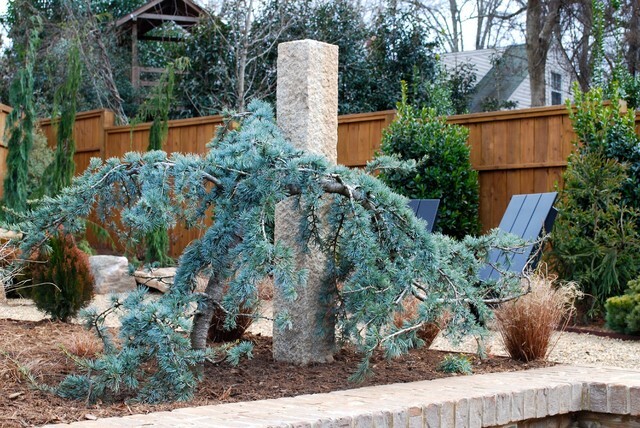 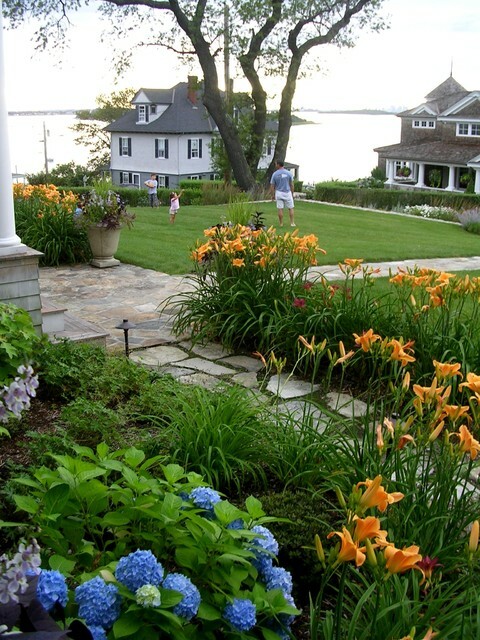 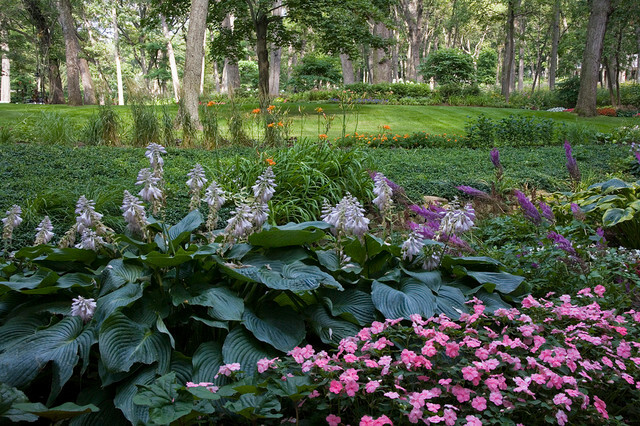 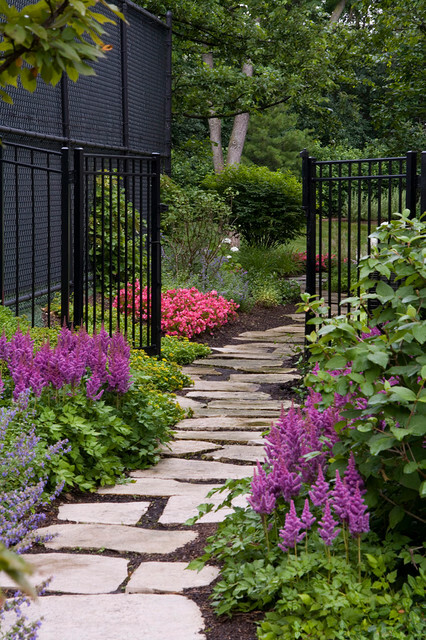 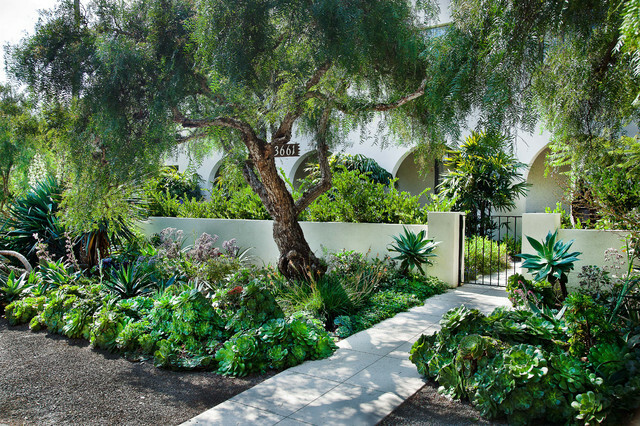 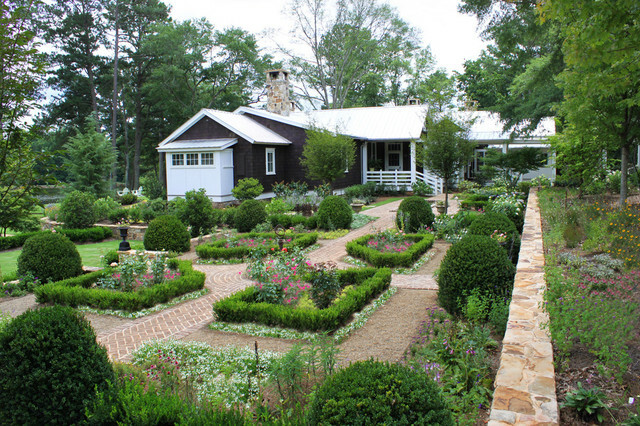 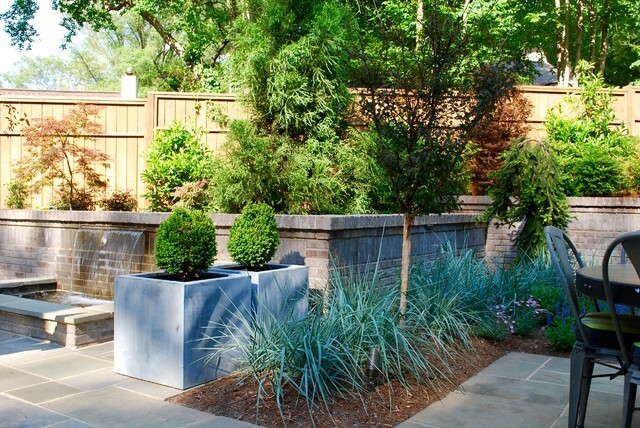 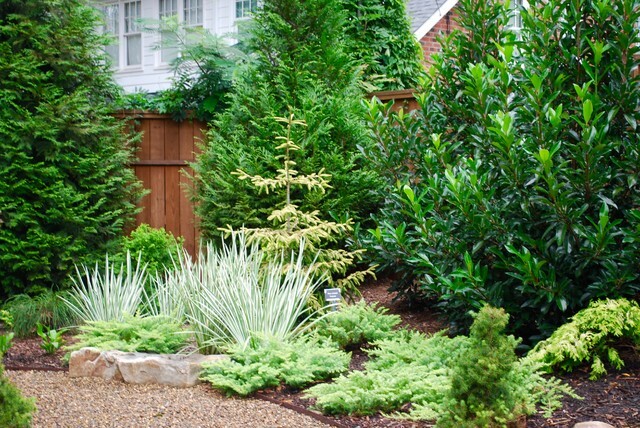 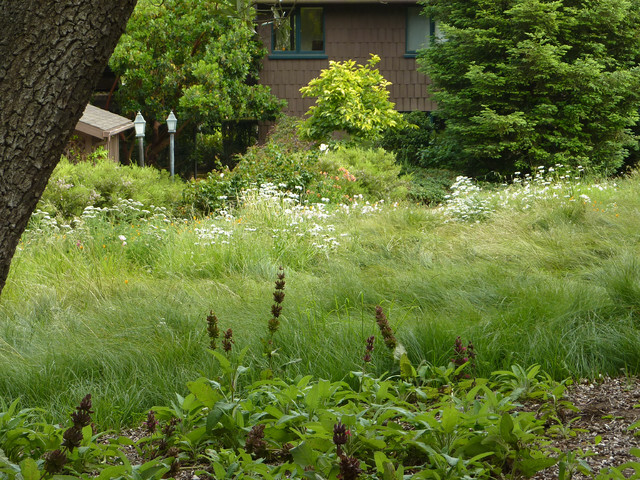 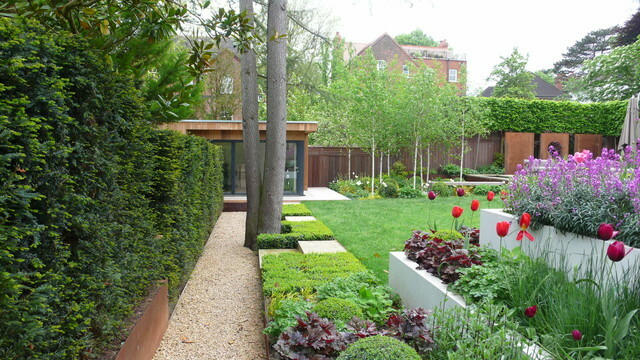 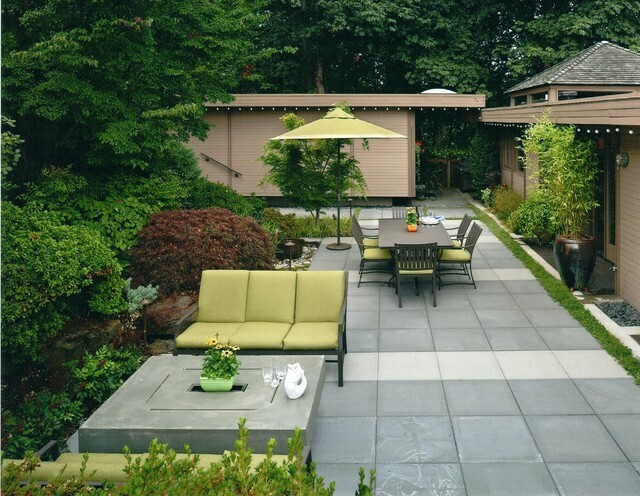 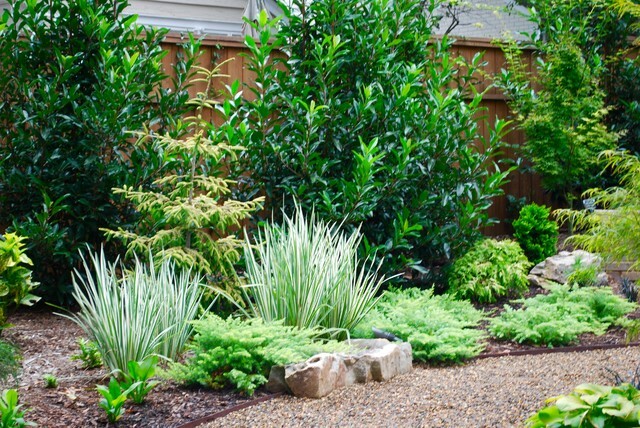 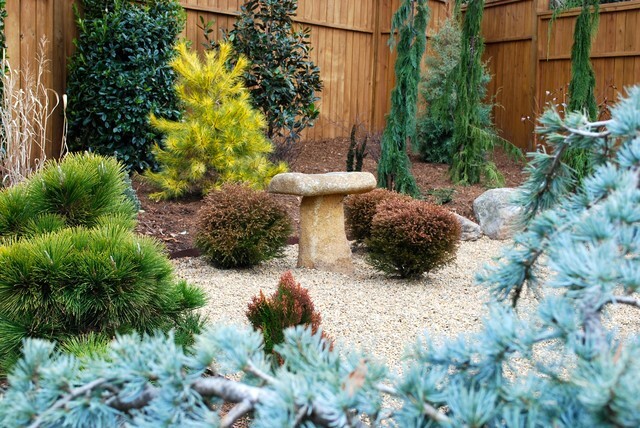 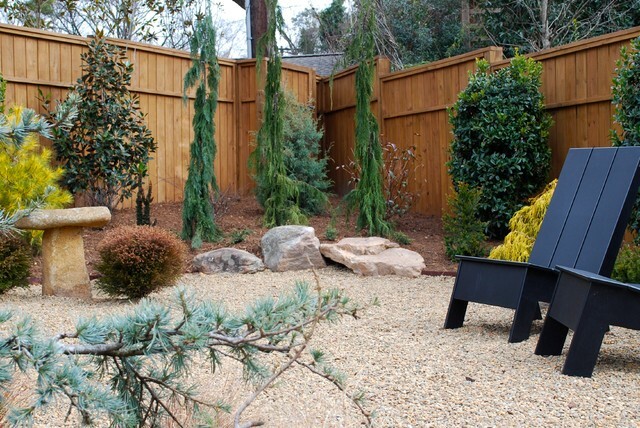 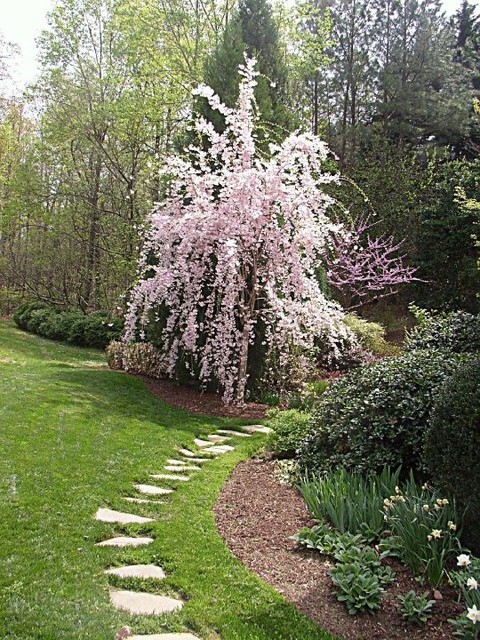 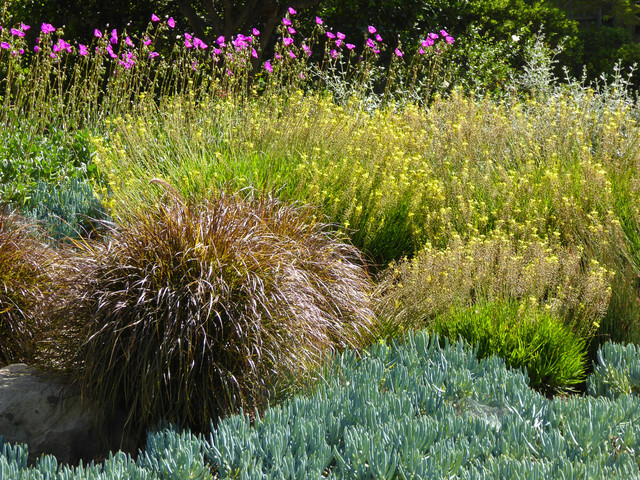 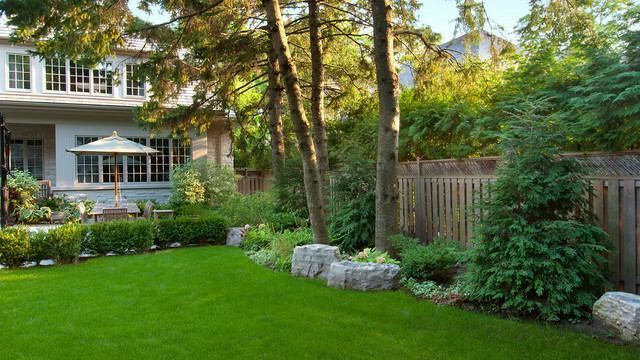 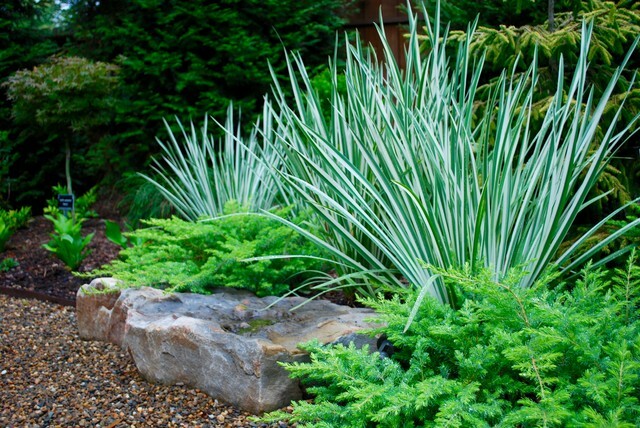 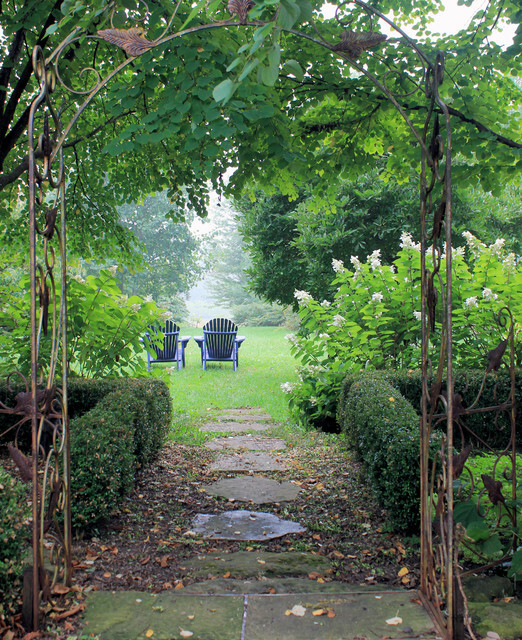 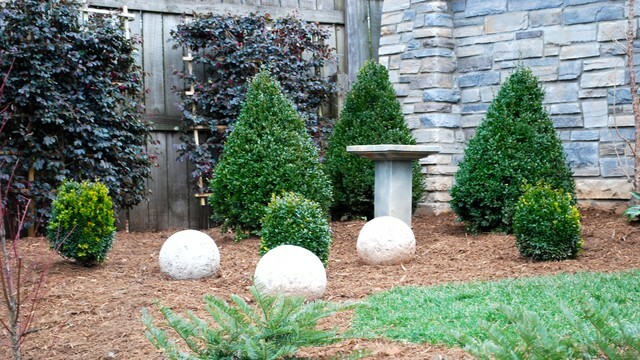 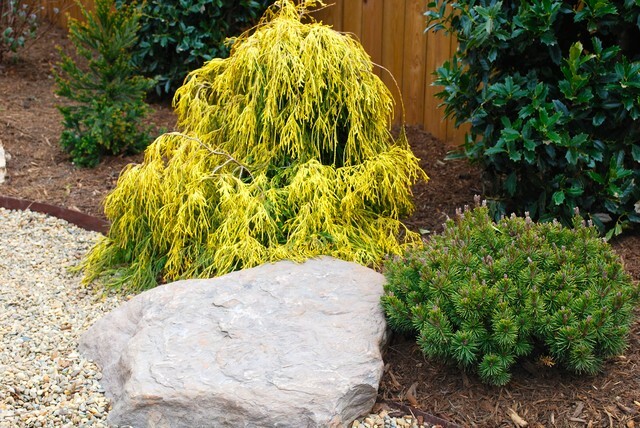 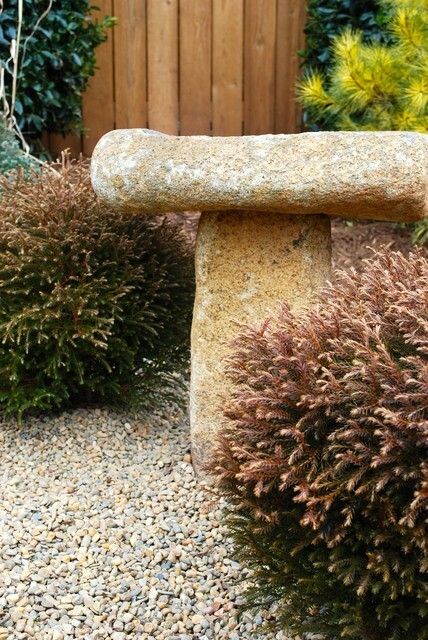 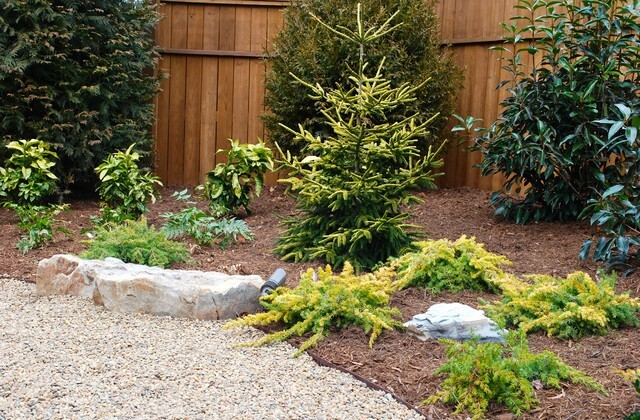 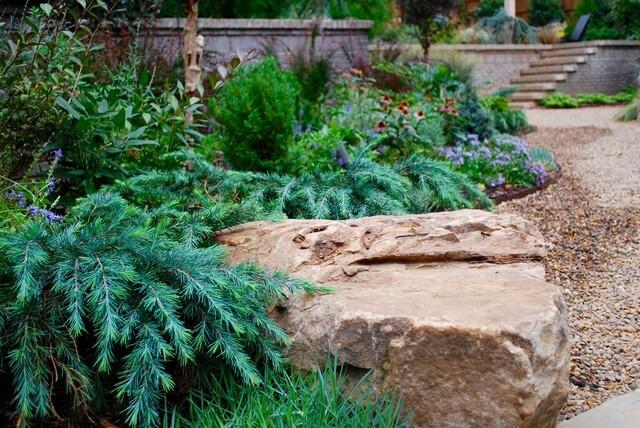 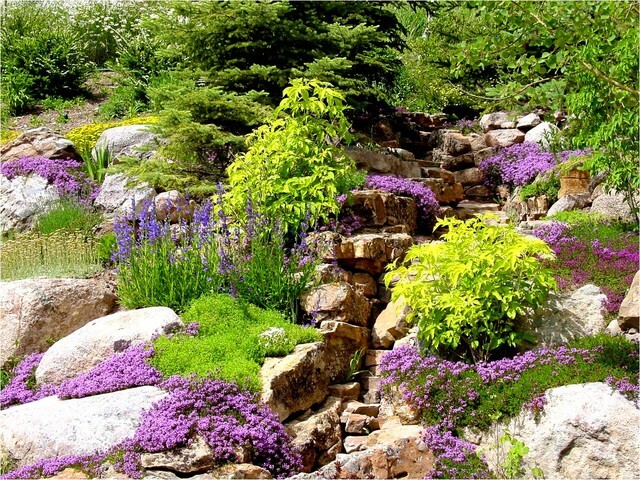 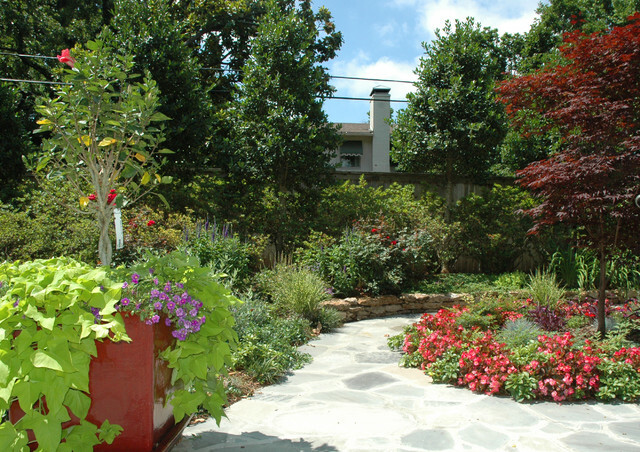 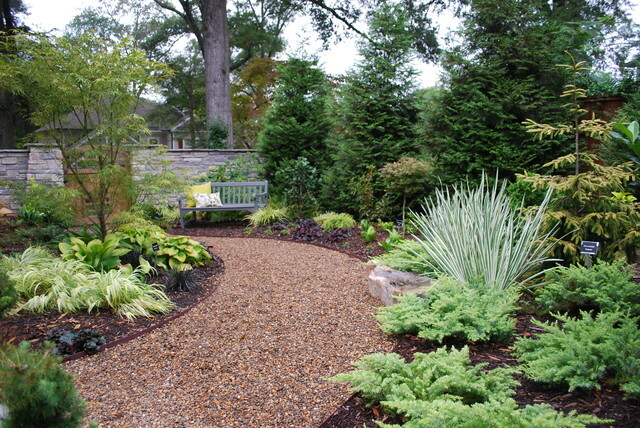 A variety of foliage colors and textures, and diversity of plant shapes makes this a garden of high interest. 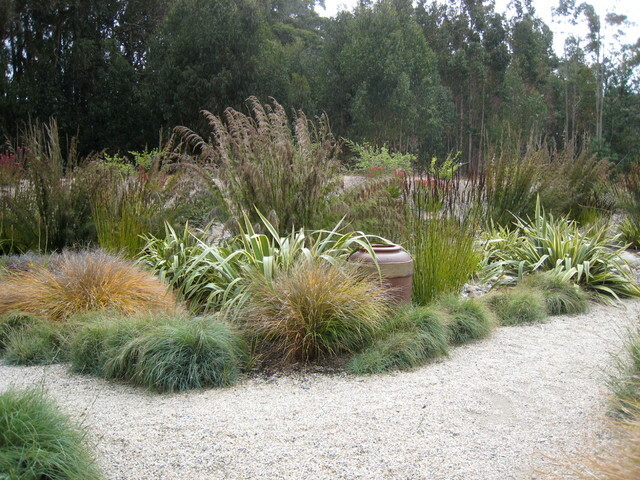 Photo taken 10 months after installation. 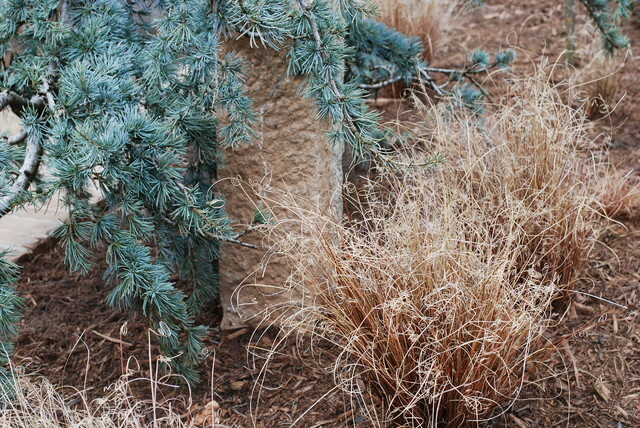 Photo by Jay Sifford.